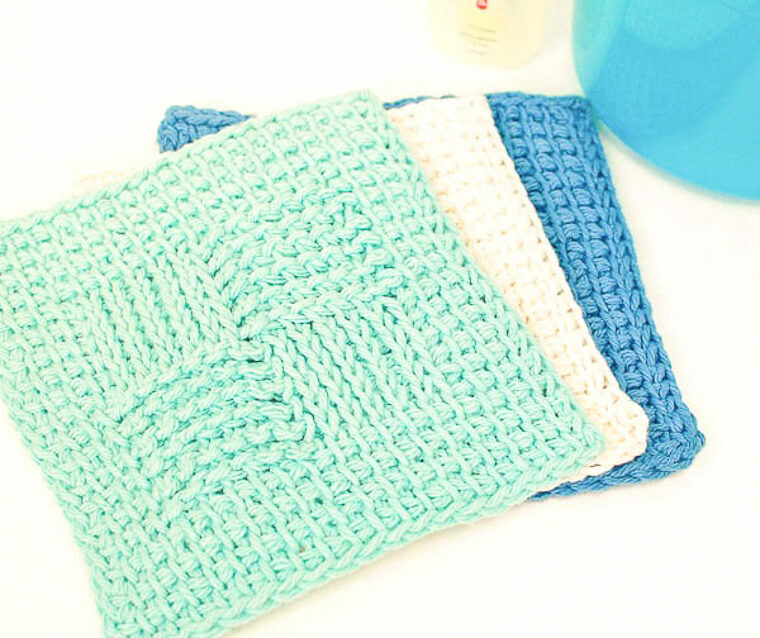 This Sampler Washcloth Tunisian Crochet Pattern gives you the opportunity to practice some basic Tunisian stitches while stitching up a pretty washcloth for your home or to give as a gift. 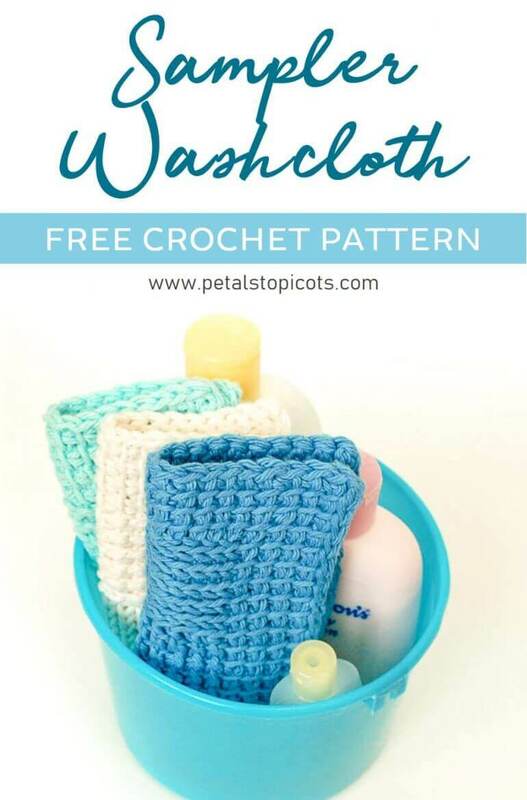 They are the perfect size for facial washcloths or to use for babies. If you are just getting started with Tunisian Crochet, you can check out my Learn Tunisian Crochet in a Week series to help you get started or just scroll down here for the links to the stitch tutorials for the stitches used in this pattern. Row 1: Tss across — 20 sts. Rows 2 through 5: Repeat Row 1. Row 6: Work Tss in next 3 sts, Tks in next 6 sts, Trs in next 6 sts, Tss in last 4 sts — 20 sts. Rows 7 through 11: Repeat Row 6. Row 12: Work Tss in next 3 sts, Trs in next 6 sts, Tks in next 6 sts, Tss in last 4 sts — 20 sts. Rows 13 through 17: Repeat Row 12. Rows 18 through 20: Repeat Row 1. 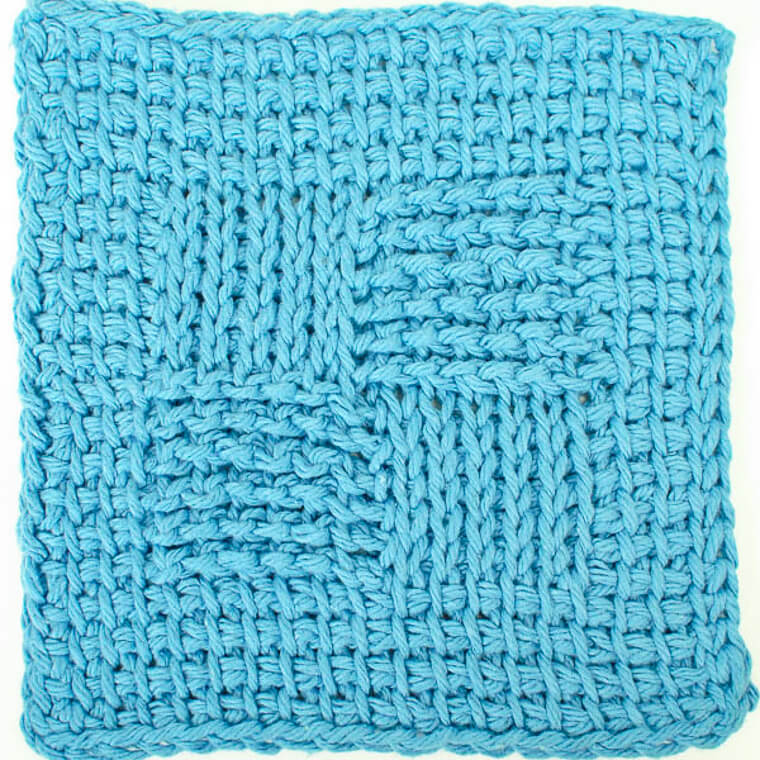 Block if desired (see How to Block Knit and Crochet Items). Previous Post: « Exclusive Namaste Coupon Code for Petals to Picots Readers! Enjoying your site. 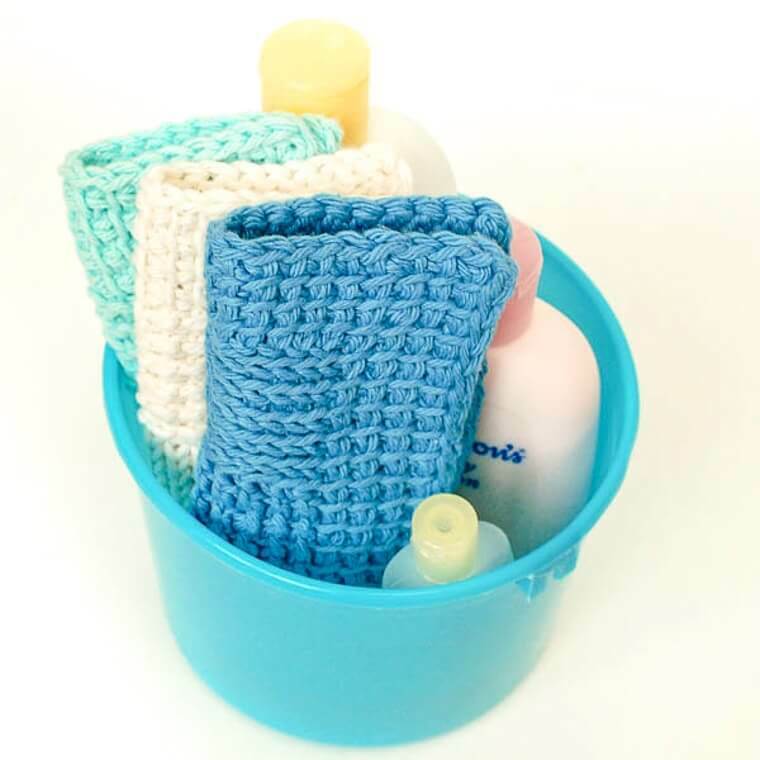 What brand yarn did you use for your sampler washcloths? Hi Joyce 🙂 I believe I did these washcloths with Bernat Handicrafter Cotton. Just finished my washcloth using your pattern as a base guide but I did a few modifications instead of chaining 20 I chained 30 and instead of doing the tunisian simple stitch I did the tunisian cross stitch and my washcloth turned out beautifully I wish I could post a picture of it to show everyone here. It did take a bit more time to complete but looking at it now it was worth the extra effort. This sampler looks fun to make. I never tried Tunisian crochet before, this will be interesting. Just so I understand, each row consists of a forward and return pass, correct? What brand of Tunisian crochet hooks do you recommend and where can I buy them?